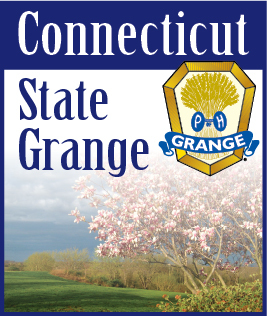 The members of each Subordinate and Junior Grange should submit their posters advertising a Grange sponsored event. There will be four categories: A. Subordinate-Hand Drawn; B. Subordinate-Computer Drawn; C. Junior-Hand Drawn; D. Junior-Computer Drawn. The Exhibitor should label their entries on the back with their Name, Grange and Class. Each Exhibitor may enter one poster in both the Hand Drawn and Computer Drawn Classes. Entries may be mailed or given to a members of the Information/Publicity Committee ahead of time, or may be brought to Cheshire Grange Hall on Friday, July 23, 2010, between the hours of 9:00 am and 11:00 am. All entries will be on display on Saturday, July 24, 2010 beginning at 11:00 am at Let's Celebrate at the Cheshire Grange Hall.